FPA Blog: Isn't there an app for that? Have you ever experienced first hand a fully automated home? You know... where you walk into a house, press one button by the door, and magically the lights turn on, the music system starts playing your favorite station, and your alarm is disarmed? A true smart home allows you to integrate multiple parts of the home into one system, so you have one point of control for everything in your home. From shades and lights to audio and video, and everything else in between an automated home can bring it all together. The beauty of an automated home is made in the background... in the programming! Your home integrator really earns his keep making sure all the systems communicate with each other, allowing you to create the perfect scene in your home with the touch of a button. 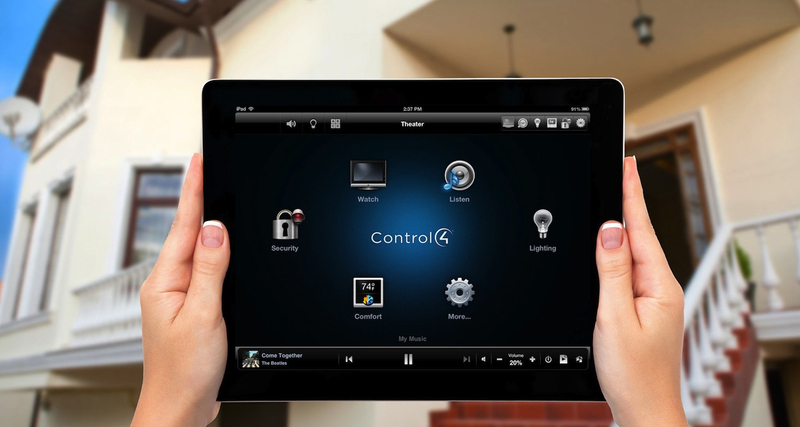 If you've ever looked into a home automation system though, you know they can get pretty expensive. The questions we get most often as home integrators is... "Do I really need that?" That answer, unfortunately, isn't an easy yes or no. It all depends. Do you really need all your home systems to communicate with each other? Let's face it... We live in an app based world and we all have dozens upon dozens of apps on our phones and tablets. Some of these apps we use on a daily basis and some we don't even remember why we downloaded in the first place. But when it comes to controlling our homes, we may not need an automation system to connect everything together. Some of us are perfectly happy having one app to turn on our music, another app to control our lights, and another to check on the home alarm or security cameras. Sure it's really cool to press one button on your keypad and have the lights to your TV room turn on for you to light the way, and have the TV turn to your favorite channel before you even hit the couch... but that simple enough task brings with it more electronic components and programming time that you are ultimately paying for. Don't get us wrong... We'd love to sell you a true home automation system! But it's not for everyone. Some of the better companies out there like Sonos, Nest, and Vantage Controls offer amazing apps to control their products. You should certainly leverage their research and development teams and use the apps they are testing and improving on every day. Think about it... These companies only have to focus on improving their product, and not on communicating with every other product on the market. This allows them to funnel a lot more of their resources into user experience... giving you a stellar app to use every day. Sure you can't turn on your lights from your music app, but do you really need to? If you are comfortable with the concept of one app for each system in your home... and you know where the home button is on your phone... I think app based control is for you! If you're ready to explore app based home control further... First Priority Audio is here to help.